As requested!An extraordinary psychexotica soundtrack to a magnificent movie! Note!this is ripped without seperating tracks,just as side a and side b.
I'm thrilled that this amazing movie (and it's follow-up, The Holy Mountain) is finally getting a lavish DVD release. It's been out of circulation for too long. 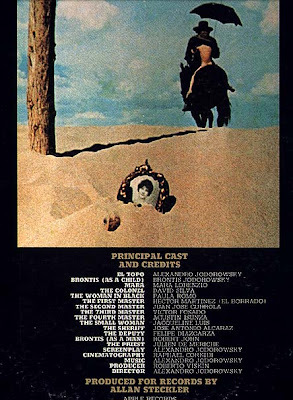 The only time I had an opportunity to see El Topo was in the mid-80s, and it was a wrecked, scratchy print. It's good to know there are official releases of Jodorowsky's films coming soon. I have Italian DVDs which are pretty good, but stiill not really sharp. Can't wait to see Holy Mountain in all it's technicolor glory. 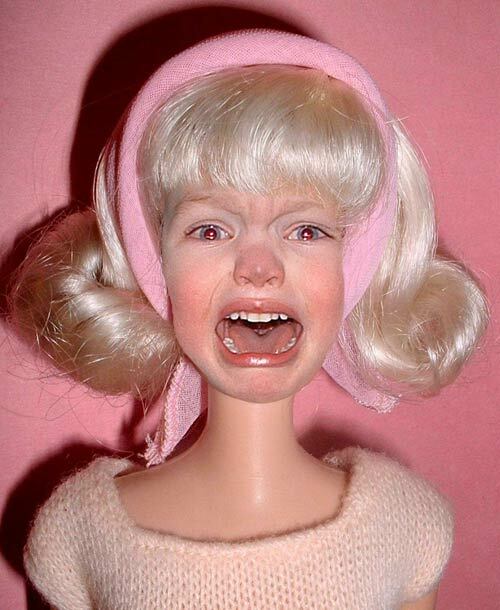 Speaking of outsider movies. Do you happen to know if Spermula ever had a soundtrack? Believe it or not, I found this LP in THE TRASH along with The Residents Commercial Album! There may have been others but I'm one of those who certainly requested this. Excellent, a million thanks. On another note, I've seen this requested here before but have no idea if it was ever posted, but does anyone here have the INCREDIBLE mind-warping LP by Brother JT called "Descent?" Not your late afternoon pop psych fare (though nothing much wrong with that either) by JT, but 2 side-long pieces of Absolute brilliance and creepy transcendence. The Jodorowsky 6-disc box set is out. Someone got it for me as a birthday gift. Mutantsounds, this is so great. Million thanks! I am from Jodorowskys natal country and i am a big fan of his movies and some of his books. 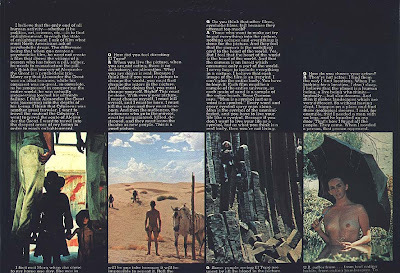 I always wanted to have the sountracks to them, so i wanted to ask you if you can post the soundtracks for his other movies, specialy The holy mountain and Fando y Lis. I would apreciate it so much. Thanks again for all, long life for you and your blog. 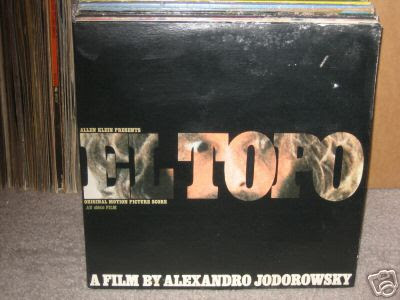 Hello, Im selling my copy of Alejandro jodorowsky: Zaratustra a very nice and rare recording, totally amazing thanks for the interest. and thanks again Mutant for all the incredible stuff here.